Infusing blues basics with punky, garage guitar rock wasn’t even new when the Jon Spencer Blues Explosion, the White Stripes or the Black Keys started making the genre cool for the Y generation. 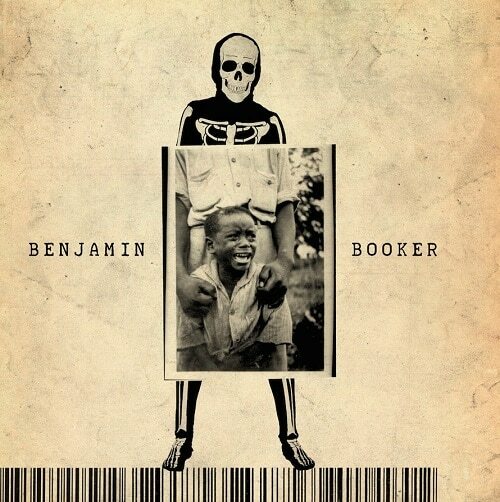 And Florida’s Benjamin Booker isn’t taking it anywhere it hasn’t already been on his high profile, stripped down debut for Dave Matthews’ label. But by adding a bit of Velvet Underground-styled repeated riffing, throaty, grainy vocals and an aesthetic that can best be described as raggedy to the bare bones formula, he’s being hailed as the next big thing. Whether he can follow up this strong, unvarnished debut remains to be seen, but Booker surely feels comfortable whipping off gnarly, often distorted and psychedelic guitar licks over skeletal bass and drums backing. The production is the very definition of homemade low-fi which adds to the overall charm of music that wouldn’t connect with anything more polished. At times Booker sounds like a young, angry Paul Westerberg if the Replacements’ frontman was anchored by blues. These songs are variations on standard three chord boogie riffs with just enough fresh melody, attitude and arrangements to put Booker onto Jack White’s radar. Opening for White’s current tour will boost the singer/guitarist’s visibility and those new converts should enjoy the earthy pleasures of an album that feels lived in, raw and real. It’s tough and grimy but you have to wonder how many others are out there bashing out similarly trashy rock who haven’t gotten Booker’s breaks. Regardless, give him credit for staying true to his minimalist roots and let’s hope he can craft a career out of the gutbucket rock and roll basics he has a firm grasp of here.